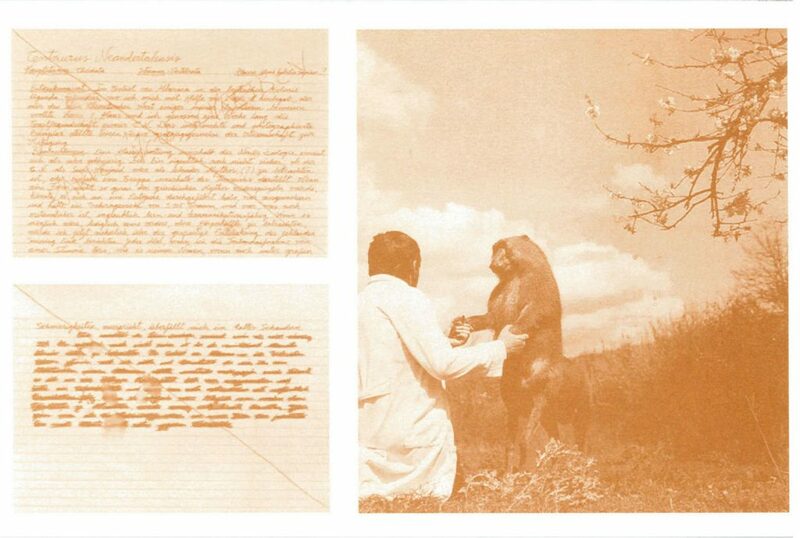 Fauna Secreta is an exhibition documenting the fictional research of a German biologist, Dr. Peter Ameisenhaufen. The exhibition adopts the characteristic appearance of zoology and natural science museums, presenting photographs, radiographs, outdoor sketches, maps, zoological cards, texts, sound, video and more, as evidence of the existence of these (it seems to us) rather monstrous animals. Solenoglypha Polipodida is a snake-like creature with twelve feet that is supposed to be able to paralyse its prey with a high-pitched whistle. And there’s a squirrel with webbed feet and a snake tail – Myodorifera colubercauda. As one reviewer put it: “This modern-day bestiary is every bit as fascinating as the strange illuminations of the medieval age, and all the more disconcerting as the camera seems to bear undeniable witness to the beasties’ meanderings.” —Melissa Rombout, Boston. Circulated by Occurrence, Montreal. Supported by the Canada Council. Sponsored by the ECIAD School for Media Arts. 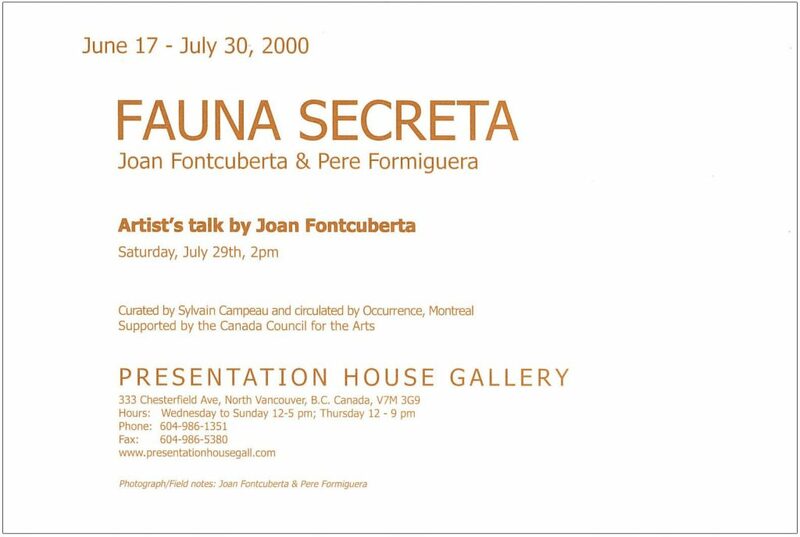 Poster for the exhibition "Fauna Secreta"